We offer the best selection of boards for all levels of wake enthusiasts from Ronix, Hyperlite, and Byerly. Our knowledgeable staff will help you assess your needs and get you on the board of your dreams and shredding in no time. 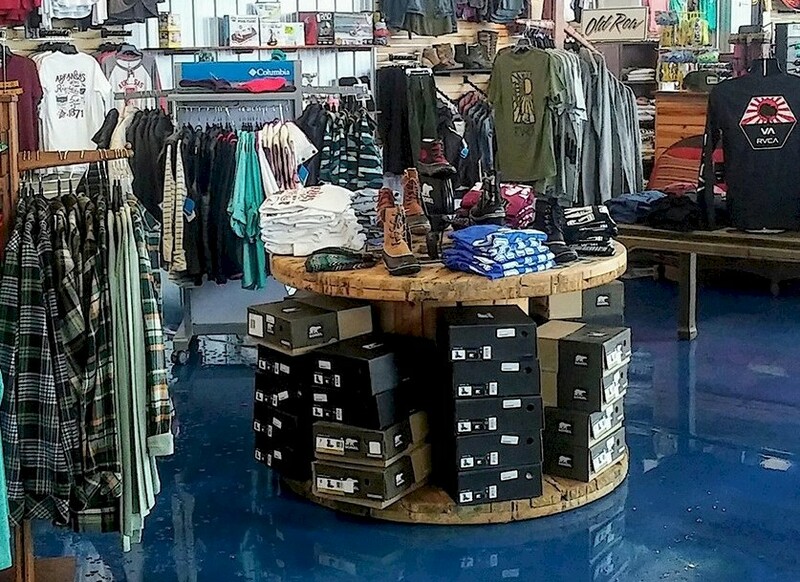 Lake Hamilton Outfitters knows you've got to look good while your're riding that swell and offers a fantastic selection from Billabong, L Space, Rowdy Gentlemen, Columbia and more. And being the only place on Lake Hamilton with boat access, you can take your board right to the water from the store or have us inflate your new tube and carry it to the boat. Have Fun & Look Awesome Doing it! At Lake Hamilton Outfitters, we want you to have fun and look and feel awesome doing it! Do you love to wake surf or would like to try it? Check out our selection of pro model boards for every level of surfer. Is wakeboarding more your thing? We’ve got your covered there as well. We’ll even set up your board and walk it out to your boat for you! If you end up at the lake on a whim without any gear don’t worry – from swimwear, sunscreen, life vests, sunglasses, tubes and towels, Lake Hamilton Outfitters is your one stop shop for making lake memories. What began in 2014 as a metal building used as a boat showroom has transformed into a 4,000 square foot outdoor retailer and water sports lover’s dream. Large windows offer a glimpse of beautiful Lake Hamilton and you instantly get that "vacation feel" - no shirt, no shoes, no problem! 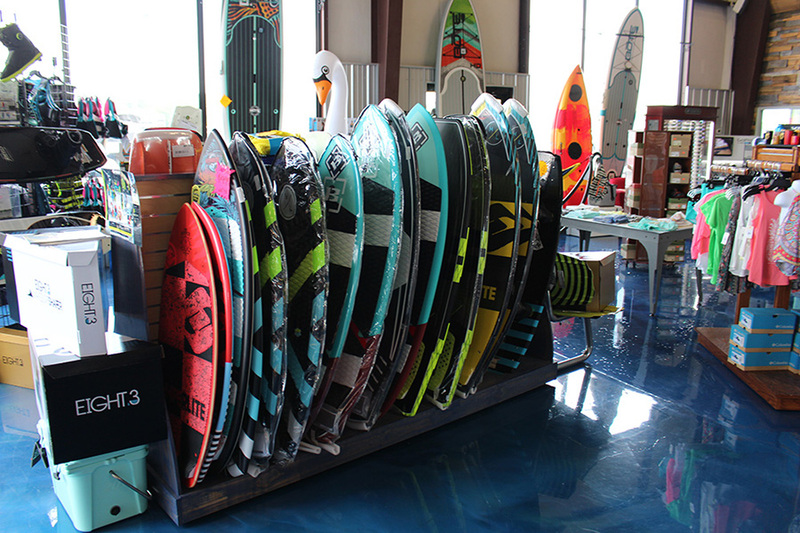 Lake Hamilton Outfitters is the only outdoor retailer located right at the water’s edge and our selection of wake toys and essentials is the largest in town. From swimwear, sunscreen, life vests, sunglasses, tubes and towels, Lake Hamilton Outfitters is your one stop shop for making lake memories. Check out our Apparel and Gear sections for details!